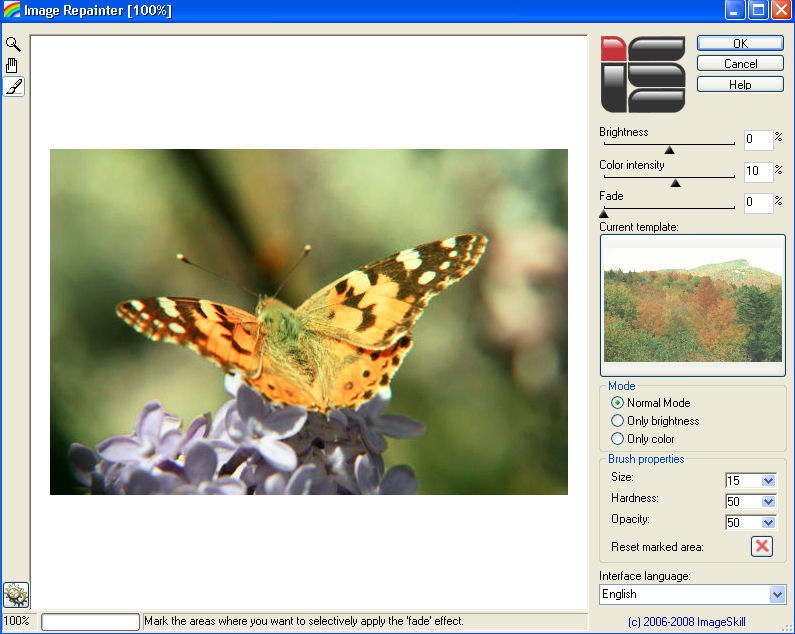 Image Repainter Changes colors of an image by borrowing template colors. O in short: Image Repainter is Photoshop-compatible plug-in for Windows that borrows template image colors properties to change colors of source image. It allows the user to express pleasing colors from desirable prototype image to some other images. See above information and user's reviews about Image Repainter Changes colors of an image by borrowing template colors.